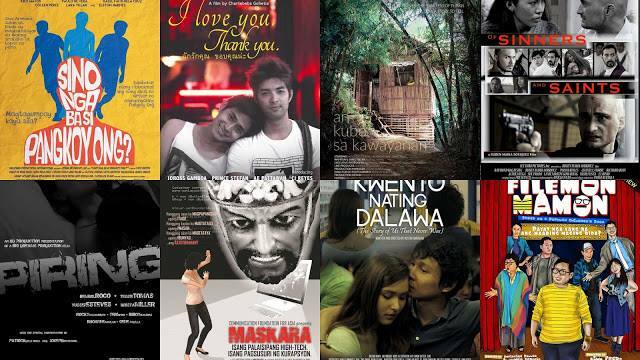 The World Premieres Film Festival-Philippines 2015 features eight (8) films to compete in the "Filipino New Cinema" section. This event is organized by the Film Development Council of the Philippines, in partnership with SM Cinemas and Philippine Daily Inquirer. Contemporary filmmakers look forward to premiere their latest works before an international audience in the Philippines. This provides the festival with a section highlighting films produced and made by the host country. Premiere screenings will be held on June 25-27, 2015 in SM Mall of Asia (free to the public), while the regular screening schedule of the said films, along with the various sections of the Festival, will be from June 29 to July 7 (regular cinema ticket rates apply). All films in competition and exhibition are shown in five (5) SM Cinemas only: SM Mall of Asia, SM Megamall, SM Southmall, SM Manila, and SM North Edsa. Synopsis: Leonardo Rossellini is an Italian priest from Rome assigned to a parish in Payatas, a poor area of Metro Manila. His mission is to counsel battered women and teach poor children english and catechism. But soon his peace of mind is distraught by the encounter of a woman he used to love when he was still a seminarian. This young woman, Merlinda, has now a violent husband, Franco, and a 6 year old child who is missing. Leonardo decides to help her find her son, despite of Franco's warning not to mess around with their lives. Synopsis: As clouds begin to roll, we see the morning life of a busy city. Cars jam the streets, as people makes squares of the side streets they walk on. People queues in line as everyone wants to board the city train. This is SAM’s daily picture of his long travel to school. He is a young filmmaker, who in his everyday commune, picks up his girlfriend ISA, in a station, 4 stops away from the school they go in. The gloomy weather seems to be painting the day for the young couple. The concurring problems between them loom as they try to survive the day. ISA is about to leave for the States after graduation and SAM gets a fellowship offer from one of the leading film schools in the world. All these reasons make way for unspoken words of doubt and fear, on top of a bigger dilemma that they have to face. SAM and ISA had to make a decision. They cannot stay too long in this teacher-student relationship. Synopsis: Michelle lives in her own special world. She has a strange love story with her house by the bamboo grave, with which she developed a language, with things functioning as words only she could understand. Everyone is trying to convince her to abandon the house; her boyfriend trying to look for work in the city or abroad, a nosy neighbor trying to make ends meet by working as a teacher, and even a filmmaker trying to do a documentary on Michelle’s skill as a calado embroiderer, which she cling onto as strongly as she stays in the house. The film tells the intimate story of how Michelle’s house, along with the things around her: a river stone, a June beetle, and a can of sardines, would help her preserve the ecology of joy and peace she nurtures by the bamboo grove. In Michelle’s world everything is interconnected, and even the smallest of things has a story to tell. Synopsis: The Philippines is being geared up to be interconnected through a system called One Wired Nation or OWN. This would allow faster and easier access to information across the country –from the smallest Baranggay to Malacanang. With OWN progress is enevitable says Bert Javelo (portrayed by Lance Raymundo), from PRIME CONNECTIONS, the company who won the contract to build and manage OWN. Bert promises instant service and progress to the country. But Pia Gorospe (portrayed by Ina Feleo) is not convinced and smells something wrong. MASKARA follows the story of Pia Gorospe , an award-winning journalist, as she tries to uncover the truth behind the death of Primecon executive and author of the OWN project Willie Miranda (portrayed by Rollie Inocencio). As she slowly puts bits and pieces of the clues left by Willie to her before he was murdered, Pia gets to meet Bert Javelo, PrimeCon's suave Marketing executive and Alex Mayo (Ping Medina), a military intelligence operative. One of them is hiding the truth and pretends to be in love with her. The other one is defending the truth and would be willing to die for her. Their quest for truth takes them all the way to Marinduque during Holy Week. In this quaint town at the heart of the country, Pia witnesses the Moriones tradition – a Lenten ritual where Longinus bravely spreads that Christ has resurrected even if it means being beheaded. Here she realizes the need to defend the truth, like Longinus, even if it means offering her life. Is stardom only for the skinny? Through the song and dance, Filemon discovers himself by overcoming the realities of life. He may not look the part, but Filemon learns about heroism in the most unexpected way. He becomes the hero not only to his family and friends, but also to himself. Based on a popular Children’s Book of the same title by author Christine Bellen for Adarna House Publishing, Filemon Mamon is for all ages. The movie does not only remind you to eat proper food but also to partake the universal message of loving oneself and others. Synopsis: James (Yussef Esteves) is a gym instructor by day and a student by night, who struggles to keep both ends meet. Stands as the family bread winner, he is determined to make a difference in his troubled family. He and his three siblings grew up without knowing who their father is, while their mother is a retired prostitute but still runs a whore house. James works so hard to graduate. However, Mr. Salve, the school’s principal has set his eyes on him and is willing to do anything to get what he wants. James refuses Mr. Salve’s offer to keep his pride and dignity. Mr. Salve seeks revenge after getting rejected, he comes up with a plot to destroy James’ dreams. Still, a sudden twist of faith will change everything – a scenario which will shatter James and his family. Sino Nga Ba Si Pangkoy Ong? Synopsis: Armand, Paolo and Julian are three good friends. Armand is a research nurse. However, because of the European economic crisis, his company closes and leaves him unemployed. Paolo got married when he got his girlfriend pregnant in college. He never finished his college education. He gets into odd jobs like selling juice, flashlight, encyclopedia, etc. in order to support his family. Julian is currently taking up Mass Communication after shifting from different academic programs. For not graduating on time, his rich family in Davao stops paying for his tuition and only gives him a limited monthly stipend. Since the three friends are experiencing financial difficulties, they embark on plans of getting money. Inspired by the books written by an author with the pseudonym Pangkoy Ong, they try to write the manuscript of a book. They eventually finish the manuscript but the project fails when an unforeseen problem arises. Desperate, they plan to blackmail Pangkoy Ong by revealing his true identity if he will not give them money. The big challenge they face is to find the true identity of the author, and to execute the actual blackmail. Desperate, they plan to blackmail Pangkoy Ong by revealing his true identity if he will not give them money. The big challenge they face is to find the true identity of the author, and to execute the actual blackmail. Synopsis: Paul is a restless twenty-something who cannot get his life together. Worse, he’s been holding on to his love towards Red, his best friend Ivan’s boyfriend. Looking for a sense of direction, he goes to Siem Reap and meets Tang, who falls in love with him. But when Ivan leaves Red without any explanation, Paul finds himself caught between chasing his unrequited love for Red or choosing Tang, the one who is always willing to give him love that he cannot return. Awards for this section include film grants of varying amounts as well as awards for Best Picture (1st and 2nd place), Best Screenplay, Best Cinematography, Best Editing, Best Musical Score, Best Sound Engineering, Best Production Design, and Best Performance by an Actor, Best Performance by an Actress, Best Supporting Actor, and Best Supporting Actress. The awards shall be given by a special jury comprised of experts in Philippine cinema.